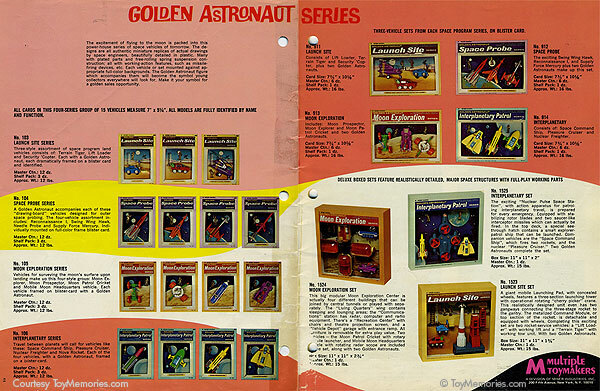 The initial 1969 Golden Astronaut range is shown on these two pages of the Multiple Toymakers dealers' catalogue for that year, sent to toyshops to order from. 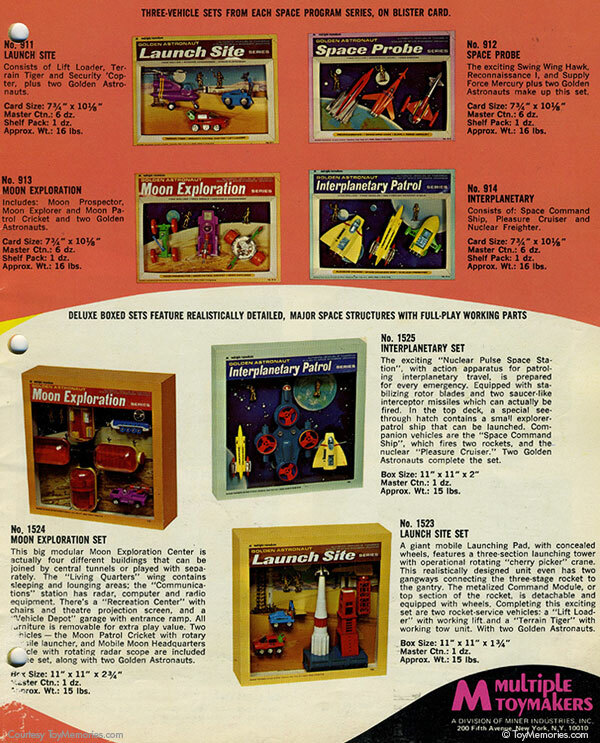 Because the catalogue will have been printed before the toys themselves were available in quantity, every piece of packaging shown is a mock-up. The frames on the cards are all in a single shade of grey instead of the card background colour, and all have a yellow oval to hold the text. The boxes don't have any text on their sides. And everything is shown without plastic blisters or windows to avoid reflections in the photographs. 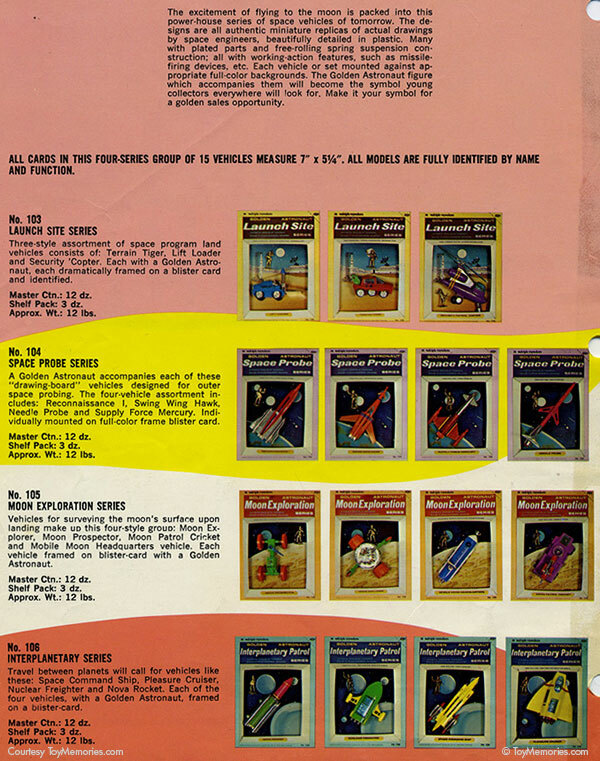 Inside the packaging we see a number of vehicles in colours different from the production items, notably the medium blue Lift Loader (Forklift), the blue over white Mobile HQ, the yellow Command Ship (Space Patrol) and the blue Nuclear Pulse. The Terrain Tiger (Tractor), Reconnaissance 1, Moon Prospector (MEV2) and Nova Rocket are shown in the early colours that I think never were available in the GA range. The accompanying text reveals the single cards came in shelf packs of three dozen each, with four of these to a shipping carton. (I imagine a shelf pack could describe this 36-card shipping box though the term is intriguing!). Triple cards came in shelf packs of a dozen cards each, with six packs to a shipping carton, while the boxed sets came in a dozen per box.